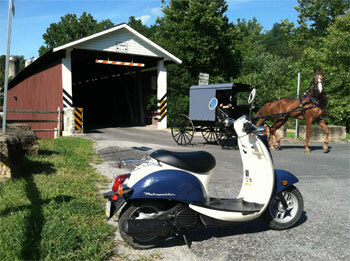 Hop onto a 50cc scooter for a backroads tour of some of Lancaster County’s historic covered bridges with an experienced guide. Our Covered Bridge Tour offers exceptional views of the countryside, including Amish farms, schoolhouses, and insightful look at some of Lancaster County’s oldest covered bridges. 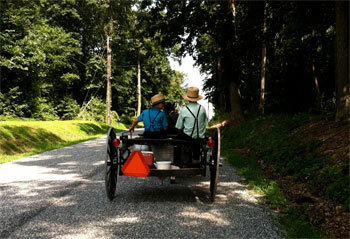 With 30+ miles of Amish country back roads to explore, our tours will give you a unique and exciting way to get back in touch with historic Pennsylvania…and connect with the open road. We offer three types of scooters for your adventure including single-seat, double-seat and the “miles of smiles” scoot coupe. 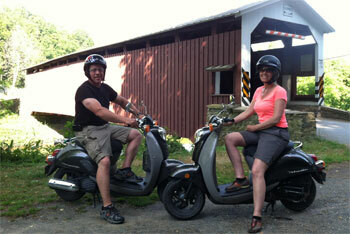 Experience Lancaster County in the 5-Star tour tradition of Strasburg Scooters. Wind your way through back Country Roads, on two or three wheels, in search of our favorite Pennsylvania Dutch treats, off the beaten path shops and unique surprise encounters along the way. 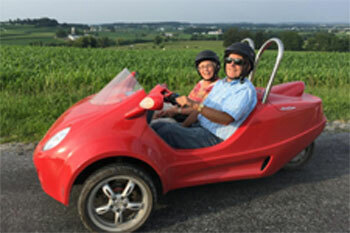 Our Country Roads Excursion is a great way to get up close and personal with Pennsylvania’s Amish Country while creating a lifetime of memories. Visit our website for tour times and details.